King's Family first OST was released last Saturday. "Find Love Find Life" is a very unique, fresh OST with it's exciting melody. The bittersweet dark voice of Jo Hang Jo truly makes this OST comes alive. 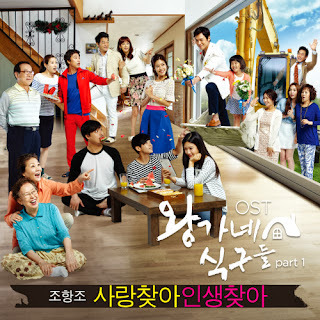 I fall in love with this OST ever since I heard it for the first time in KBS2's cute family drama King's Family. This is a song about hope for everyone who's trying to find love and life as people are pursuing their dreams under the bright Seoul's sky. But we are all trying to find a better life than today"